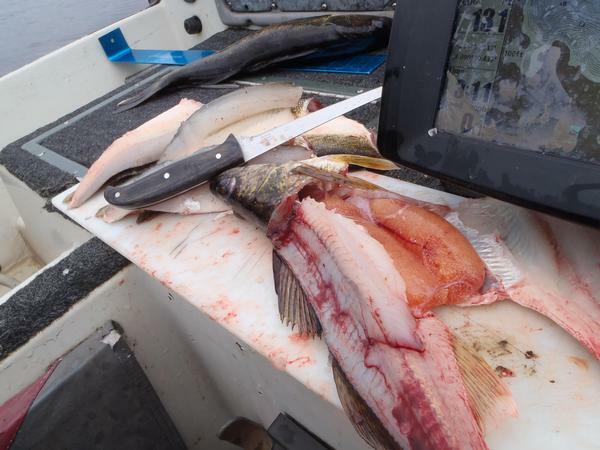 Lowrance Fishburn walleye limits three no minimum size. Cajun musky I'm a chamber member, I aggressively follow up on calls for guiding there is a very small chance I could have missed a contact. I don't remember when you said (in your post) when your coming but early June is some incredible top water fishing for Small mouth. Last year mid June was prime, I would expect earlier this year. It is in my opinion some of the most fun fishing of the year (and I'm a walleye guy) some of the days last year I went smallmouth fishing after my day of guiding for walleyes. Jigmasterflex I did buy a new filet knife ( in the picture above) hard to stop using the old one. Eventually it will be in the corner of my den with some other sentimental artifacts like my recurve bow, broken Silva compass, sleevless black and red wool hunting shirts and wore out Danner boots. The fishing: not many people out today we saw one or two boats while we fished. I like the wind but by late morning we were hiding behind a big island it was extreme. We tried some shallow spots no go, we caught our fish in 12-14' wood near deeper water. I think if we would have kept pounding shallow spots we would have found fish but the wind was limiting. Interesting 16" walleye full of eggs I thought it might be full of may fly larvae like a few of the others, was surprised. Don't know what causes a fish to not lay its eggs? Had to dodge some rain clouds but we got our shore lunch in. 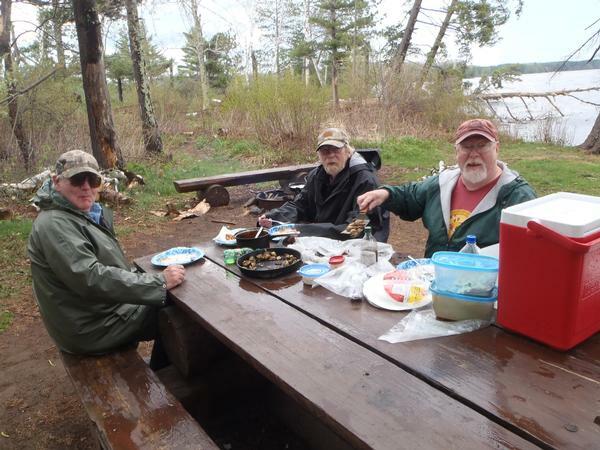 Returned a favor and took Jim and his brothers John and Larry fishing. Jim ,retired, did a lot of work on two of my guns both shoot under 1/2 moa. one a hunting rifle, impressive work Jim!